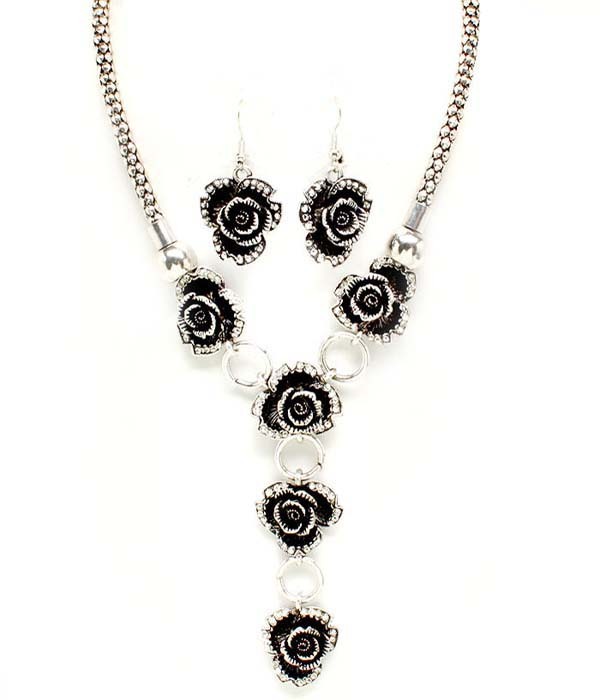 Emmi necklace features a thick silver chain that bears five sophisticated roses made from black and silver tone metal. The earrings have the pendant roses of the matching style. Wear this necklace set with your everyday outfits. Purchase one of our Y chain necklaces and other jewellery to qualify for a free bonus bling gift.